Compact dwarf form existing as both male and female clones. Small leaves, about 4cm long. 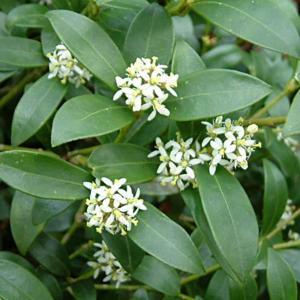 and red flower buds in winter opening to fragrant white flowers in spring. 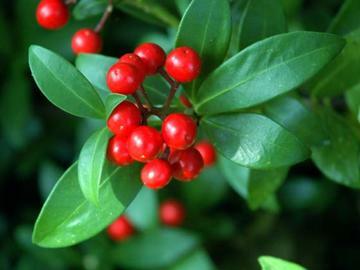 Female plants later produce red berries.